What type of glue should I use to glue footpads that are about to come away from my board? Except make sure it's not a water based one. Very good question as that has happened to me as well. I found a product at Diamond Home Improvement that works perfect. I am trying to think of the name of it. But anyway, the product is a strong water proof adhesive that is originally for bonding lonolium flooring to the floor of a house. The product has held tight for up to 4 years so far, and I used the board all the time. The product is about $11.00 or so and comes in a tube. I will look around the house for it and find the name of it. I found the glue that I used. This should work well for your deck pads. Ive been using ...shellys Roof and guttering Silicone.been good for two years now ..very water proof.very sticky ..
used it for half a deck of a SUP stick down , that a dumbie almost snapped ,,and its soft to walk on. and did I say very sticky . I would recommend Sikaflex Marine, available in Bunnings and in Supecheap for about $18. I´ve used it successfully for footpad edges coming off. I believe you can find them in grey and white colour. 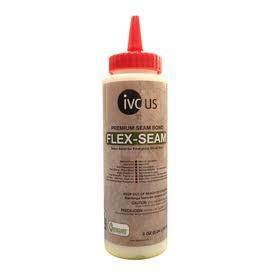 This is a polyurethane based adhesive formulated for marine environments i.e. aggressive UV radiation, temperature fluctuations and indeed salt-water. It also has great gap-filling capabilities, which comes handy when you try to glue the foamy EVA pad material with the board skin. I would not recommend Superglue for 2 reasons: a) Unless is a special grade, cyanoacrylate glues (supeglues) have low resistance to moisture and heat, they hydrolyse easily, and b) It only works with a thin layer interface, i.e. when you try to fill the gap existing between the rough skin and the foamy pad, it does not cure adequately. Sika make a few variations of 'Sikaflex' the one to use for this would be 291. Once opened it's the beginning of the end for whatever is left in the tube/cartridge. Keep it in the fridge to maximise time that it is good for. I'd try the new Selleys Superglue. You get 3 small tubes in a pack. Glues soles on sneakers that are used in wet conditions better than contact adhesive or shoe glue. You only need smallest amount. Smear it along the edge of the footpad and hold down for 2 mins. Good old contact adhesive has been the traditional answer and it works well but you will notice when you use it on EVA that it makes the EVA expand. If you want to stick down footpads that use different parts butted together seamlessly (different colours) like most footpads these days it may not be the best thing to use. pretty sure this has been answered 1000 times on here. think we just need it written permanently at the top of the page. Use Selleys Quikgrip for footpads and boom grip..
As a joiner using contact adhesive for nearly 20 years I can guarantee that it's the best product. As mentioned above - more is not better and simply makes the adhesion a rubbery mess. Use spray adhesive with a brush and apply 2 thin coats to both surfaces. Wait until at least tack-dry, then lay the eva down. If you apply the adhesive correctly but don't align the pad - you'll soon find out how strong it is!